Amity is the leading education group of India with over 1,00,000 students studying across 1000 acres of hi-tech campus. At Amity we are passionate about grooming leaders who are not only thorough professionals but also good human beings with values and sanskars. This is just one of the many reasons, why we are consistently ranked no.1. Amity Institute of Travel Tourism AITT, Noida offers various graduate courses as well as Post Graduate courses. 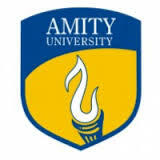 Amity Institute of Travel Tourism AITT, Noida is affiliated to Amity University,Noida. List of facilities available at Amity Institute of Travel Tourism AITT, Noida for students.